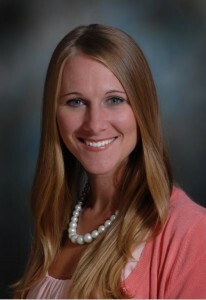 Amy Hiscock Daly ’03 has been appointed by the Chief Nursing Officer from VA Central Office (VACO) to serve as the inaugural Chair of the National Nursing Practice Council. During this three-year appointment, Daly will assist in the development and implementation of national policies that will influence nursing practice and improve patient care and outcomes for our veteran population. Daly has traveled throughout the country meeting with the 80,000+ nurses in the VA workforce in efforts to advocate for best practice and standardization of care for our Nations Heroes. Daly is currently employed at the Minneapolis VA Medical Center and manages the Nursing Office and Critical Resource Teams.